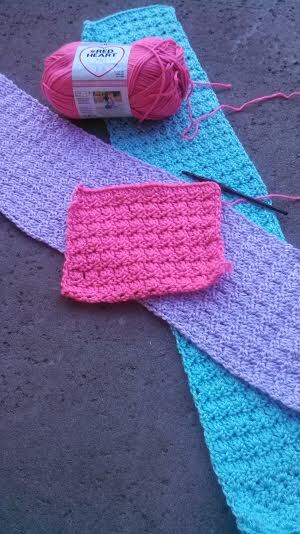 Below are my progress pictures… How is your afghan coming along?? And here is a photo sent in by one of the participants…. Don’t forget to email your photos in to [email protected] for next weeks segment!!! 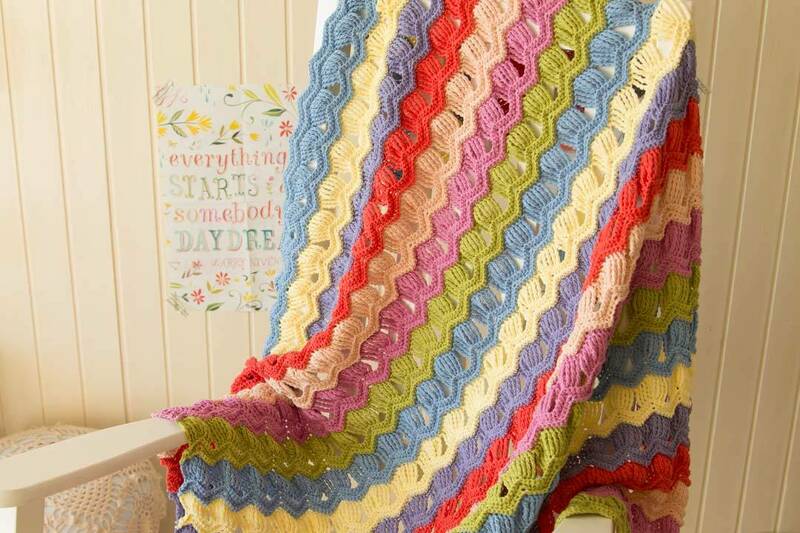 Amazing work… This is a really fun afghan,, I am going to love to snuggle up under this afghan this winter!! 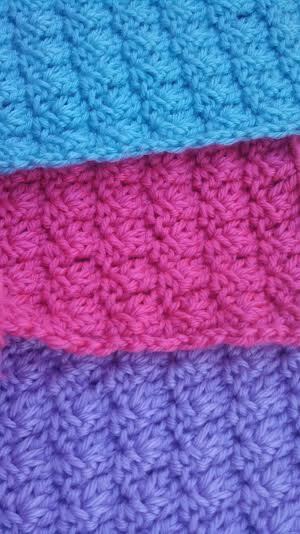 I am using basic Red Heart Yarn and think for this project it is working perfectly… What yarn are you using?? This week complete 3 more color segments… As you can see above, there are 5 color segments already done… And at the end of this week you should have 8 total color segments complete!! 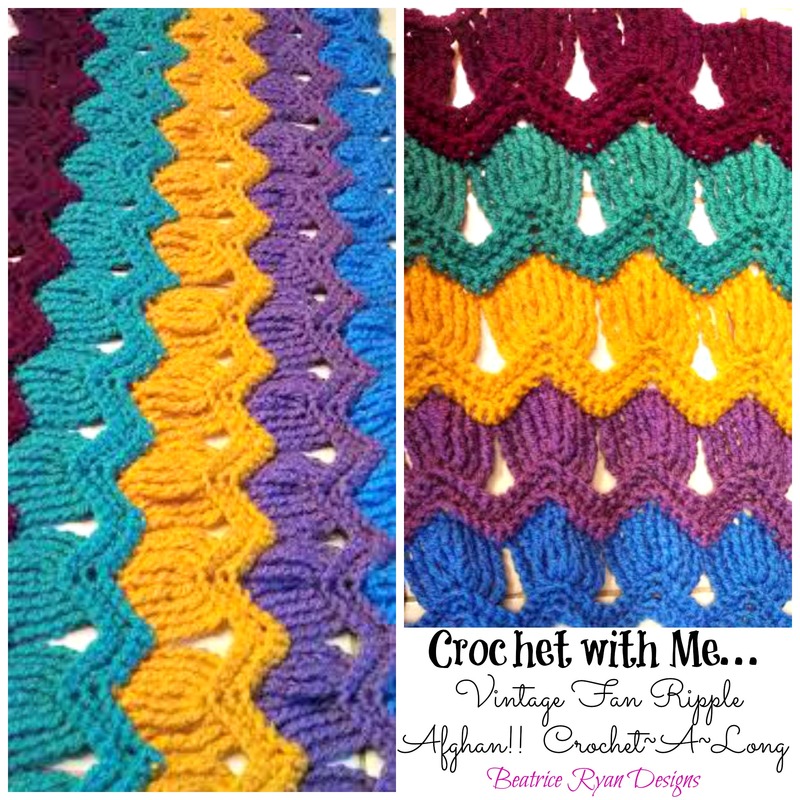 Vintage Ripple Fan Afghan by A Creative Being… Free Pattern available at A Creative Being!! To stay on track you can view all the weekly assignments as the become available by clicking on the Crochet With Me tab at the top of the page!! 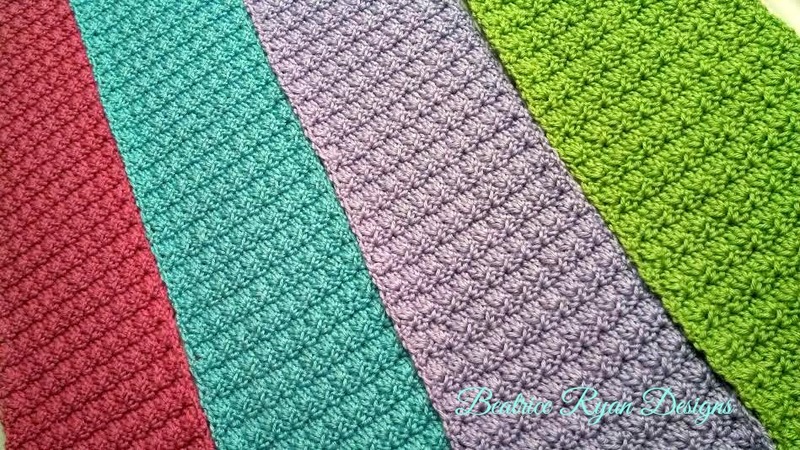 The Amazing Grace Baby Blanket is the 8th pattern in the Amazing Grace Free Crochet Pattern Series! All of the patterns in the Amazing Grace Series have the same signature stitch pattern and are dedicated to Cancer Awareness. This adorable baby blanket was designed for children and babies who are suffering or recovering from any illness or tragedy. Along with all the other Amazing Grace Free Patterns, I encourage you to make these for yourself and to pay it forward by donating a finished item to someone who is suffering or recovering from illness… It also makes great gifts and is fun and easy to make!! 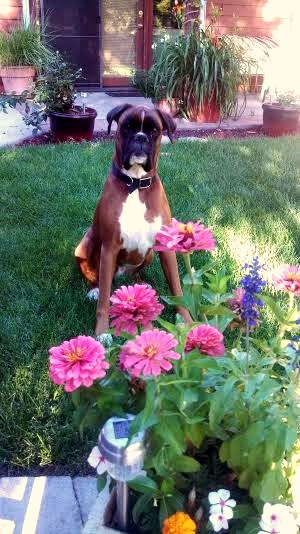 Click Here ~ If you love this pattern,,, You can add it to your Ravelry Favorites and Queue for easy access!! Row 3: Ch 1, Turn, Sc in 1st St, Sk 1 St, (Sc, Ch 2, Sc) in next St (This is the center stitch of the shell), *Sk 2, (Sc, Ch2, Sc)in next St* Repeat * * 8 more times, Sk 1 St, Sc in last St. = 2 Sc and 10 (Sc, Ch 2, Sc) spaces. Row 70: Repeat Row 2 *Note the right side of the strip is now facing you… This is important for joining! 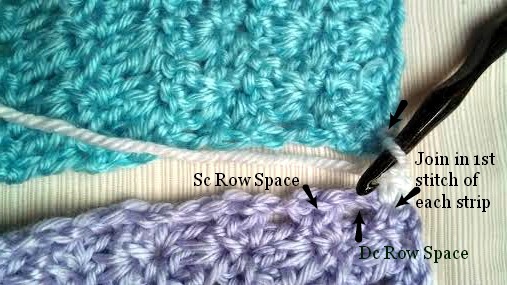 *Important* When joining make sure all the strips are facing the same direction with Row 70 for each strip at the top! 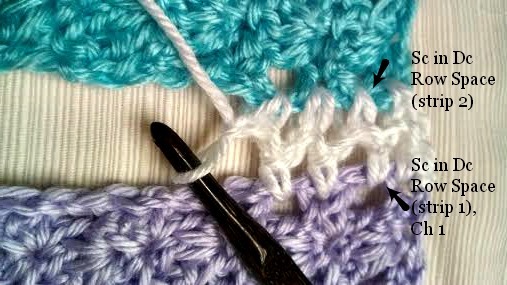 To Join: With white yarn and first 2 strips right sides up and strips next to each other, you will be working up the sides of the rows. Join with Sl St to bottom corner (row 1) of 1st strip, Ch 1, Sc in same St, Ch 1, Sc in 1st St of 2nd Strip (See Photo). Join other strips in the same manner. With white yarn, Join with Sl St to top right corner of blanket. 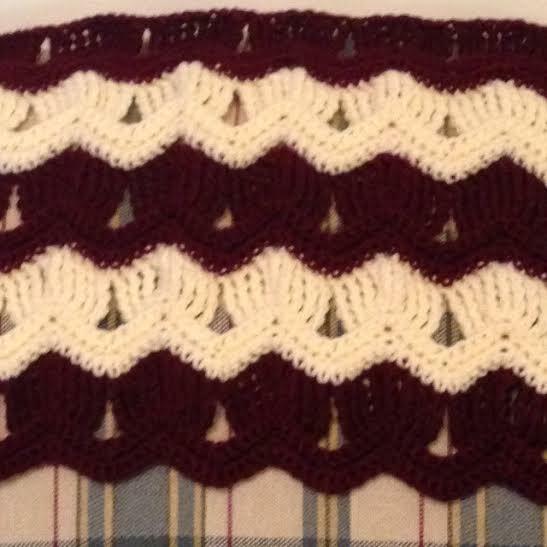 Congratulations… You now have an Amazing Grace Baby Blanket!!! 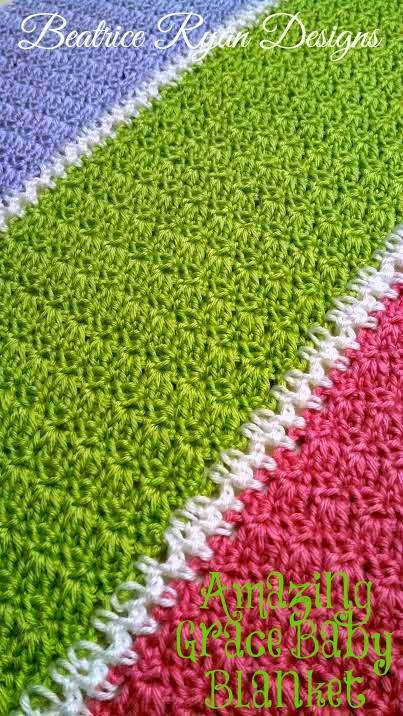 *To modify this blanket into an adult size afghan,,, You can add more rows to each strip to obtain the desired length. And make as many strips as you like for the width!! I can’t imagine a week without crochet!!! This last week I have had many hours to sit and create… I love to design new projects and one of my favorite things to design has been my Amazing Grace Series!! I am working on the 8th pattern in the series, if you have been following then you know.. It is a Baby Blanket!! If you are new to Beatrice Ryan Designs or don’t really know the back story of this Amazing Grace Series… I have dedicated these patterns to Breast Cancer Awareness and my dearest friend Sandra Kay Gilb who passed away in 2007 from this disease! 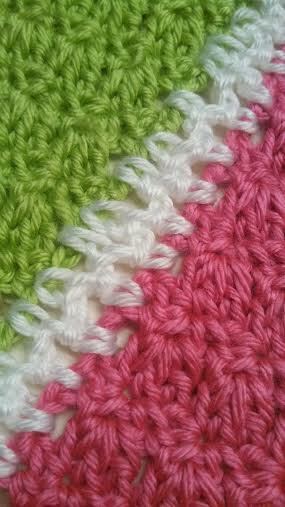 The same stitch pattern is used in all of the projects designed in the series.. Now that I have several patterns in the series, I have expanded my dedication to making these patterns for all cancer types and anyone who is suffering or recovering from a major illness. My hope is that if you love one of these patterns,,, You might make and donate one of your projects to the cause! These patterns are for personal use too and I hope you enjoy making some for yourself or as gifts!! So,,, This week I am over half way done with the pattern and here is another quick peek!! 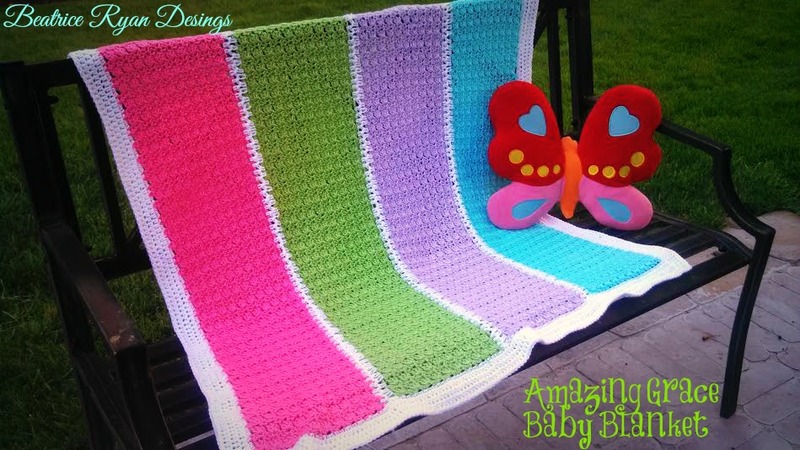 The Amazing Grace Baby Blanket!! Amazing Grace Baby Blanket Coming Soon!! 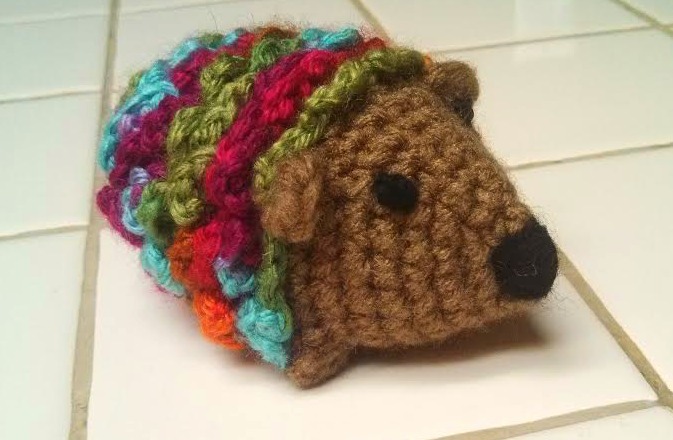 Next up… A quick little pattern review… I am always wanting to make a quick fun project designed by someone else… So this week I made this adorable little Hedgehog.. This is a Red Heart Pattern and it is free… It was fun to make and I think any little one would love receiving this cute, soft toy!! Click Here for the pattern! !